There is no doubt that the Big Island is a foodie paradise. While most travelers visit Hawaii for its pristine beaches, mountain vistas, exceptional golf courses, and exotic wildlife, the Island is also home to some of the best places to eat. Building upon years of immigrant influence and Hawaiian food traditions, this popular vacation destination has one of the most captivating and sophisticated food cultures in the world. Furthermore, thanks to its proximity to both the ocean and fertile land, local chefs have access to the freshest ingredients. From upscale dining to casual comfort food, get ready to satisfy all your cravings on the Big Island. 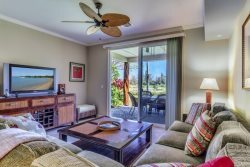 KPC – Kamuela Provision Company: Located at the Hilton Waikoloa Village resort, KPC is known for its delicious surf and turf and breathtaking panoramic views of the coast. The restaurant is also a perfect setting for couples and families. What makes KPC even more special is that most of the food served here is locally sourced. Roy’s Waikoloa: Despite its high traffic location in the Kings Shops area, Roy’s Waikoloa offers an upscale setting for diners who want to enjoy a seasonal menu with a view. Taking nods from his Japanese and Hawaiian heritage and blending it with his European training, the James Beard award-winning chef, Roy Yamaguchi, serves some of Waikoloa’s best locally inspired dishes. Lava Lava Beach Club: Famous for its blue-cheese topped burgers and local favorites like poke bowls, the Lava Lava Beach Club has made a name for itself by including evening entertainment to accompany your meal. Guests can enjoy hula dancing and listen to Hawaiian artists like Henry Kapono while enjoying dinner. The mini-resort is also known for being a popular weekend brunch spot. Pueo’s Osteria: If you are craving Italian, look no further than Pueo’s Osteria. This Waikoloa Village restaurant pairs farmer’s market finds with Italian imports to create dishes that include pasta, pizzas, starters, salads, and more. Another reason to make the seven-mile trip inland to Pueo’s Osteria is to experience a quiet and relaxing ambiance. Queens Market: While technically not a restaurant, the Queens MarketPlace is a food court that hosts a variety of restaurants like Lemongrass Bistro. This restaurant offers mouth-watering dishes from places like Southeast Asia, Vietnam, China, and Thailand. You’ll have to make a reservation as seating is limited but it’s worth a visit for the huge portions alone. For breakfast or a casual cup of coffee, visit Daylight Mind Coffee Company. Whether you’re in the mood for a quick roadside snack or want to indulge in fancy oceanfront dinners, the Big Island has something to offer everyone. Visit ResorticaHawaii.com today to book your stay at one of our luxury beachfront homes or condominiums so all you need to plan for when you get here is where to enjoy your next meal. Contact our team to learn more about our huge selection of Waikoloa Vacation Rentals. If you’re planning a family holiday or a romantic vacation, you are in good hands. Our friendly and knowledgeable staff can help you find the perfect place to fit your unique needs and get you started on a trip of a lifetime.